Revolut Banking for Online Casino | Play Casino with Revolut today! For players wanting a great option for deposits and withdrawal, Revolut is something to check out. This quite new online banking alternative gives you the possibility to have multiple currencies and an application to see everything that is going on on your accounts. 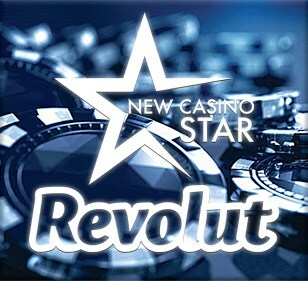 Revolu for online casinos is something that is growing and New Casino Star wants you to learn a thing or two about it, before making your choice of getting it. For UK players, this alternative is a great one. You will be set up with a bank account in a large UK Bank. It is very fast and easy to top-up your account with money, it usually goes instantly. Once done, connect your Revolut bank account to your player account and all deposits and withdrawals will go really fast. If you play at a casino that only accepts euro, no problem. With the multiple currency options, you can easily create an account only for euros. Recently they also opened up for crypto-currency, why a bitcoin casino is great for using Revolut banking as well. To use Revolut at casinos in the UK is something that we believe will be a great option for most players in the near future. So why not start today. A good way to keep your gambling money separate and the transaction speed is something that you won’t experience with many of their competitors. What features does Revoluts online banking have? As already mentioned, there are plenty of different features that your “normal” bank doesn’t. First of all, it is free! If you don’t decide to upgrade your account, the only cost is the VISA credit card that you will get. One of the features we really like is “The Vault”. By giving the bank permission to round up every purchase you make, you will automatically save some money into your vault. A great way if you are saving up for a trip or so. You can also set a monthly budget and Revolut will keep you posted if you are on it or not. The application for your mobile helps you out in many ways. You can easily send money to friends, scroll through your retrieved and sent money and much, much more. You can also get push notifications regarding every purchase you make, to keep track of everything. Everything with this banking option really feels like the future of banking, and now it is time for all the older, physical, banks to step it up. Even though we want to mention this mainly for gambling, Revolut is a great bank in every kind of way. Sure, the number of Revolut casinos is growing so you can always use it for this. But there are plenty of other nice functions and features that you will like in your ordinary life. 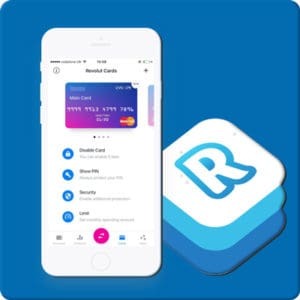 Just visit Revolut.com to read more about this online banking option and get set up in minutes.